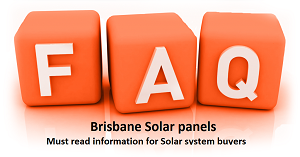 How much is a 5kw solar system in Brisbane in September, 2013? You Are Here: Home / SOLAR NEWS: Our Blog / Uncategorized / How much is a 5kw solar system in Brisbane in September, 2013? CHEAPEST PRICE YOU HAVE EVER MET!!! AND WE CAN DO CERTEGY FINANCE!!! UNBELIEVABLE!!!! CAN DO IN GOLD COAST, IPSWICH and SUNSHINE COAST!! !